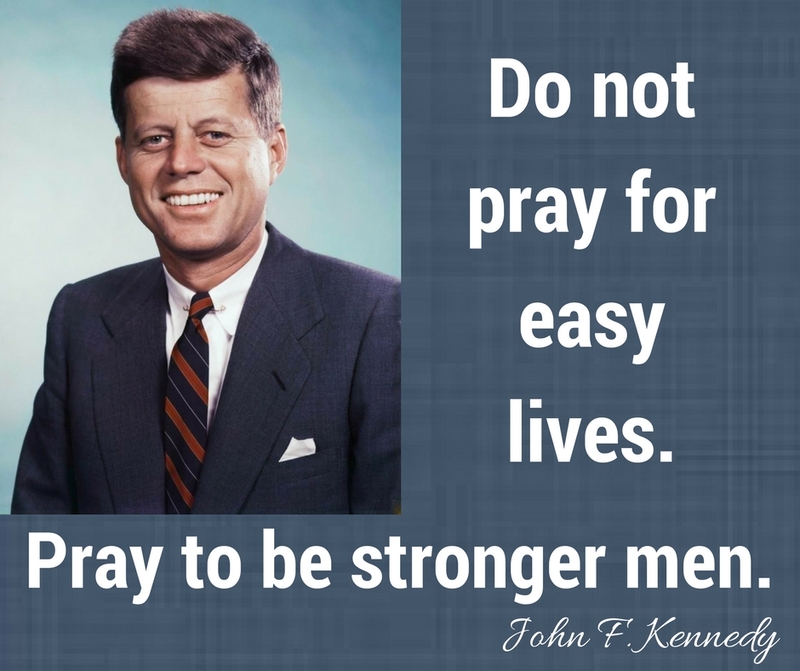 Enjoy the best John F Kennedy Quotes. 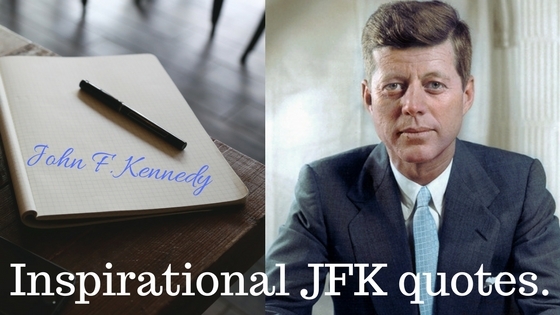 Inspirational quotations by John F. Kennedy. 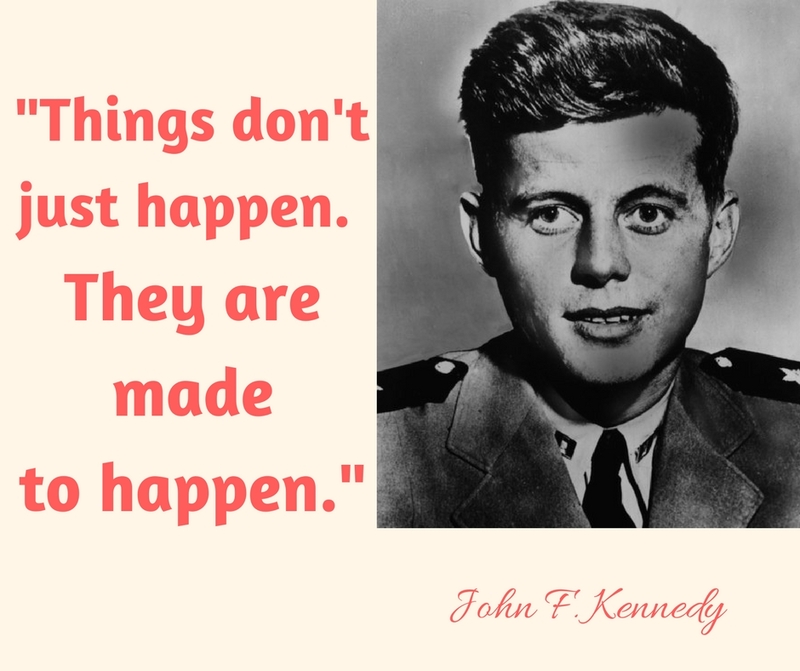 Famous JFK quotes. 18. We should not let our fears hold us back from pursuing our hopes. 17. The time to repair the roof is when the sun is shining. 16. Those who dare to fail miserably can achieve greatly. 15. The cost of freedom is always high, but Americans have always paid it. And one path we shall never choose, and that is the path of surrender or submission. 14. Victory has a hundred fathers and defeat is an orphan. 13. Things don’t just happen. They are made to happen. 12. 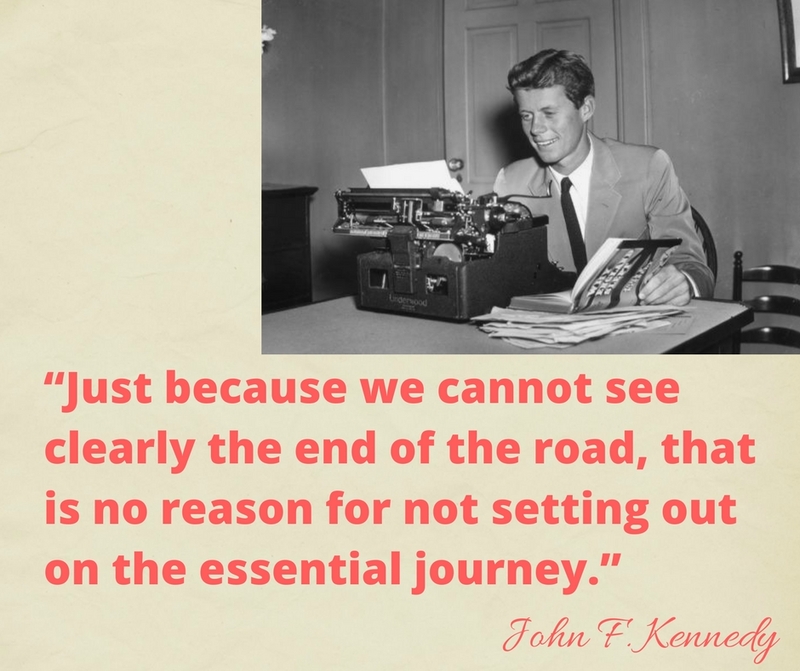 Just because we cannot see clearly the end of the road, that is no reason for not setting out on the essential journey. 11. Forgive your enemies, but never forget their names. 10. Ask not what your country can do for you; ask what you can do for your country. 9. A man may die, nations may rise and fall, but an idea lives on. 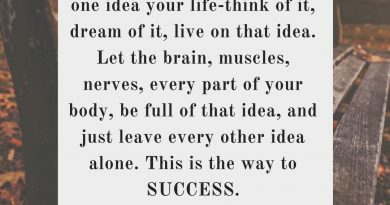 Ideas have endurance without death. 8. Too often we hold fast to the cliches of our forebears. We subject all facts to a prefabricated set of interpretations. We enjoy the comfort of opinion without the discomfort of thought. 7. Public libraries should be open to all—except the censor. 6. 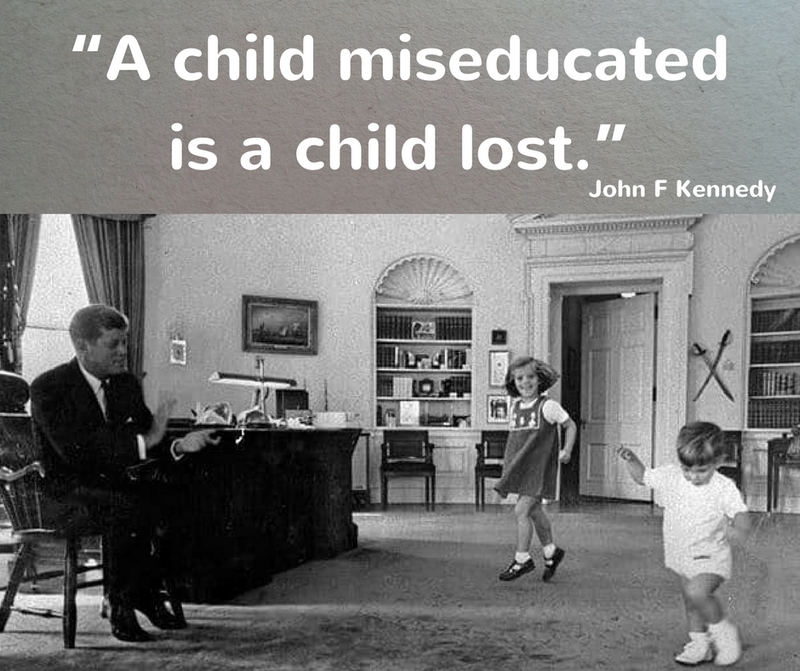 A child miseducated is a child lost. 5. Do not pray for easy lives. Pray to be stronger men. 4. 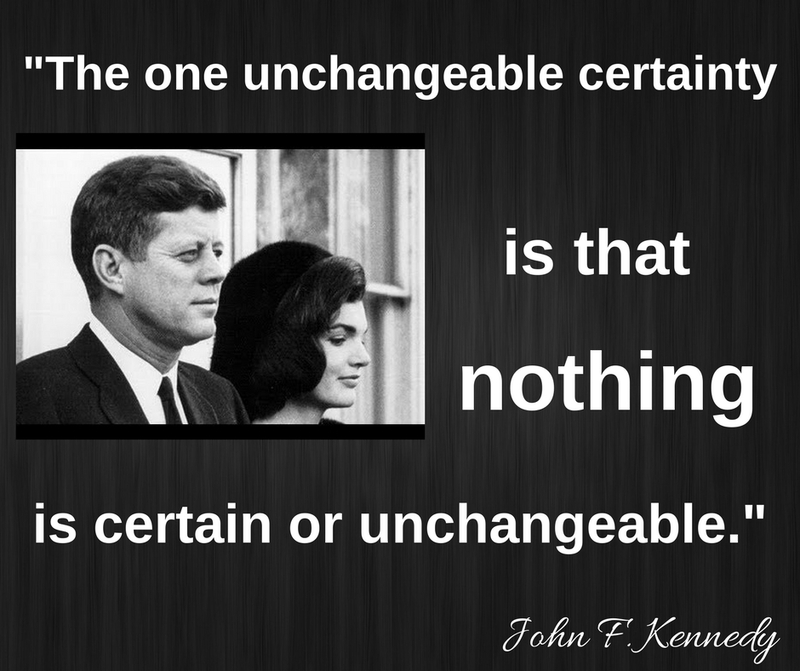 The one unchangeable certainty is that nothing is certain or unchangeable. 3. Change is the law of life. And those who look only to the past or the present are certain to miss the future. 2. 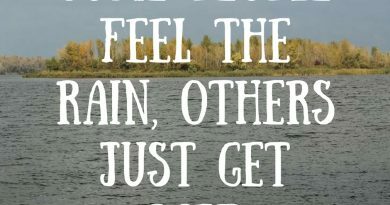 The rising tide lifts all the boats. 1. We must use time as a tool, not as a crutch. Kennedy installed a secret taping system in the White House. Kennedy secretly installed a taping system in the Oval Office and Cabinet Room that transmitted recordings to a reel-to-reel tape recorder in the White House basement. John F. Kennedy went on to serve in the Navy during World War II. His honorable service earned him a Purple Heart and a Navy Marine Corps Medal. The Kennedys were known for owning a variety of animals during their time in the White House. They had five dogs, five horses, two parakeets, two hamsters, a cat, and a rabbit. At a height of 6 feet, Kennedy is one of the taller American presidents. Kennedy was a relatively popular president, with his highest approval rating reaching 80 percent in April 1961 and once again in March 1962. Kennedy, a renowned cigar smoker, allegedly ordered 1,200 Cuban cigars the day before the beginning of the Cuban embargo. Pingback: How old is Sylvester Stallone?! 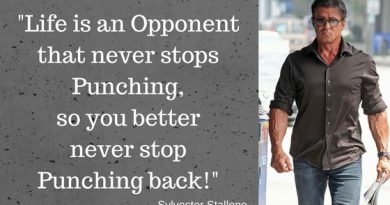 Sylvester Stallone - a poster guy for people over 50.